The BrailleSense Polaris is the first Virtual Braille Tablet for the Blind. Polaris is the latest in the popular BrailleSense Notetake family and features state-of-the-art hardware and software including Android's Lollipop operating system and the name-sake Polaris Office Suite found on millions of Smart Phones worldwide. 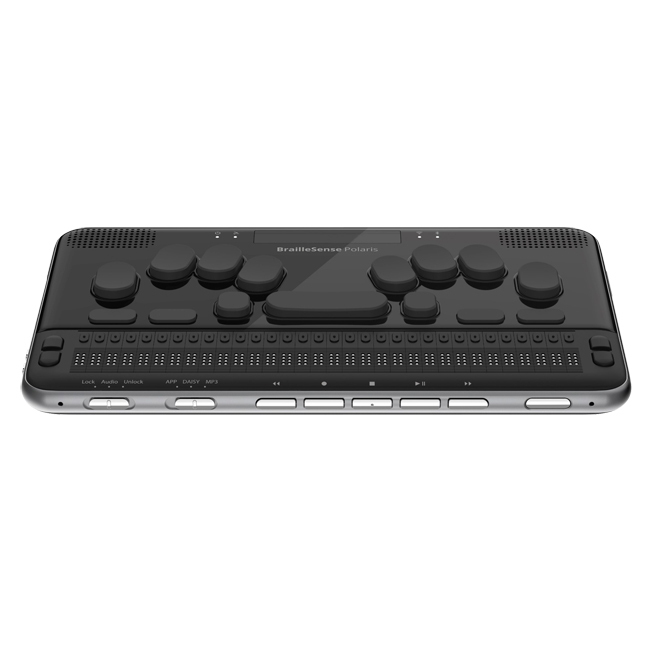 Polaris integrates a touch-sensitive Braille display with Miracast connectivity to the mainstream computer or tablet of your choice.